Just got an e-mail from a ChamCar Driver... does anyone know how "Ustream"... works or how much it costs, how can u get this free? Here is the best pic late last night with a couple of hrs. 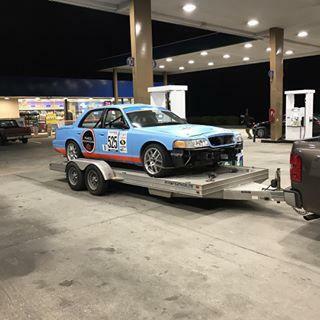 left to drive to Daytona for the CampCar 14 Hrs. I've given up on... Utube Live Streaming my old computer Windows (7) can't find a app for Free Streaming anywhere that will work! At the World Center of Speed! Gates open soon. Air-Damn Cool... wish I was there ! Hey TiredBirds... I think they have some Bolt on or Clip on Additional Night Lights to add on. The Headlights are the highest amp. lights you can put on a car they will light up the wold and are blindingly bright! PS: Are u gona' watch it live tomorrow on Utube? So this ChampCar racing thing is harder than it looks, huh? 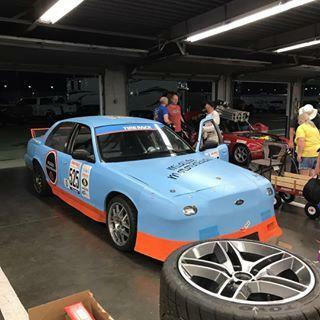 The team did great for their 2nd ChampCar Event and the car worked very good (a lot of hard work and some great friends and drivers pulled off a great finish, for their 2nd race. Finished 5th in class and about 60th over all out of about 120 cars. Just some hick ups along the way, Broken axles, a cracked brake rotor and odds and ends that go break in a 14 Hr. Enduro at Daytona International Speedway. No... DNF this time, VIR 2018...was the 1st race. 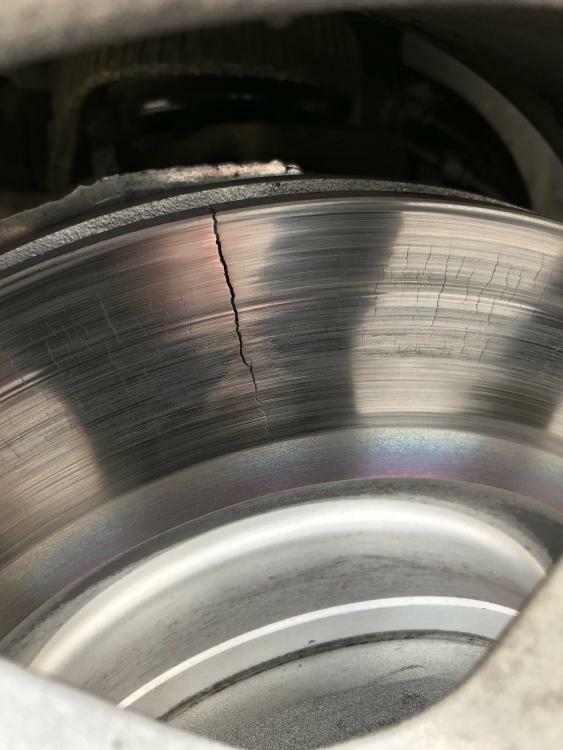 Can someone help me out here with a dumb question... why is it that it is always the out side of the double sided rotor that cracks1st? I have no Ideal? Didn't win the race, but we did finish 5th in Class and at 14 Hrs. mark (the checkered flag)... still running about the same lap times at the end as we were at the start!!! 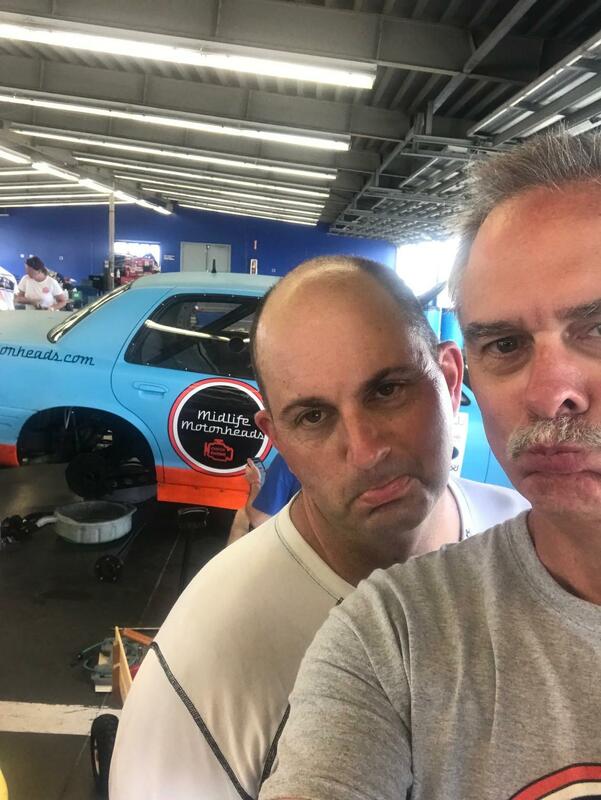 Hey all u guys at ChampCar 2019... great job all day and all night long... u guys are just as good as NACCAR and NBC when it comes to running & reporting a race and the safety everywhere was fantastic... along with the humor and jokes . Again good job by all u guys. Tire Rack should be proud of what you guys have put together for the average week end warrior at the race track learning how to go fast, win and have fun! It all about good friend and lots of fun for all! Maybe I'll bring my 1st build toy and run a race and see how she does at 150 MPH on the big tracks? If so, it is sticking a little. Hi... Thanks for the ? I think these were brand new calipers, I don't think they were sticking or sliding although... I don't know if the short section of the brake lines were replaced. 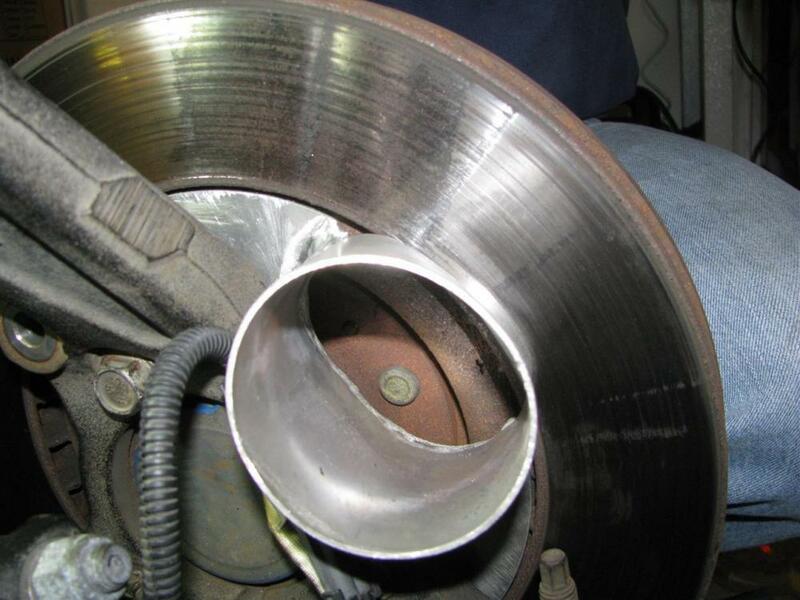 Sometimes the inner liner of old break line hoses will collapse under age or high heat conditions, and cause the caliper to stick. Need more cooling and possibly a different brake pad compound. Thanks, that sounds like a great Idea, do up think these larger brake ducks will work better than just one 3" hose? Thanks, I think we have a list about 9 months long to work on. Hey... JDC, That makes a lot of sense! How in the world would you be able to construct something like that? Man... You got that $$$$$ Right! WoW... That is one cool design, so that 90% of all the WA goes right into the center section (VANE) Section in order to cool both sides of the inner rotor to the out side of the rotor faces...Ingenious! You are the man! Or... the Master Engineering Brake Cooling Genius! All of that aero work did reflect in the amazing top speed of that car. I think the moonshiner got away this time..........in a Miata!